The SHIMNA Live Nightstand features a mitered live edge board on the three facing edges, and a painted drawer with an angled mission-style pull. It is fully customizable. The drawer can be painted any color, and can be made to order at any size. Here it's shown in Pennsylvanian Black Walnut and is 20" wide by 12" deep and 20" high. 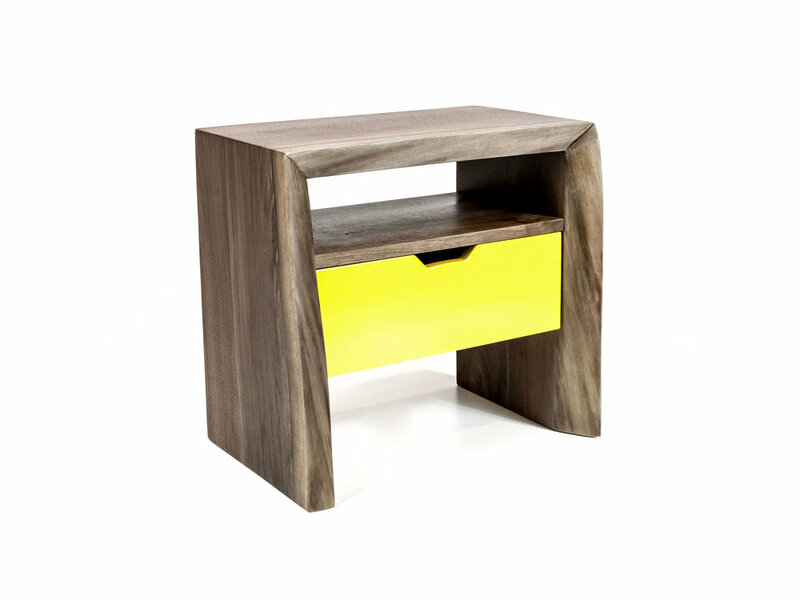 The side table can be finished in a clear, polyurethane or a natural oiled finish. Dimensions: 20" x 12" x 20"